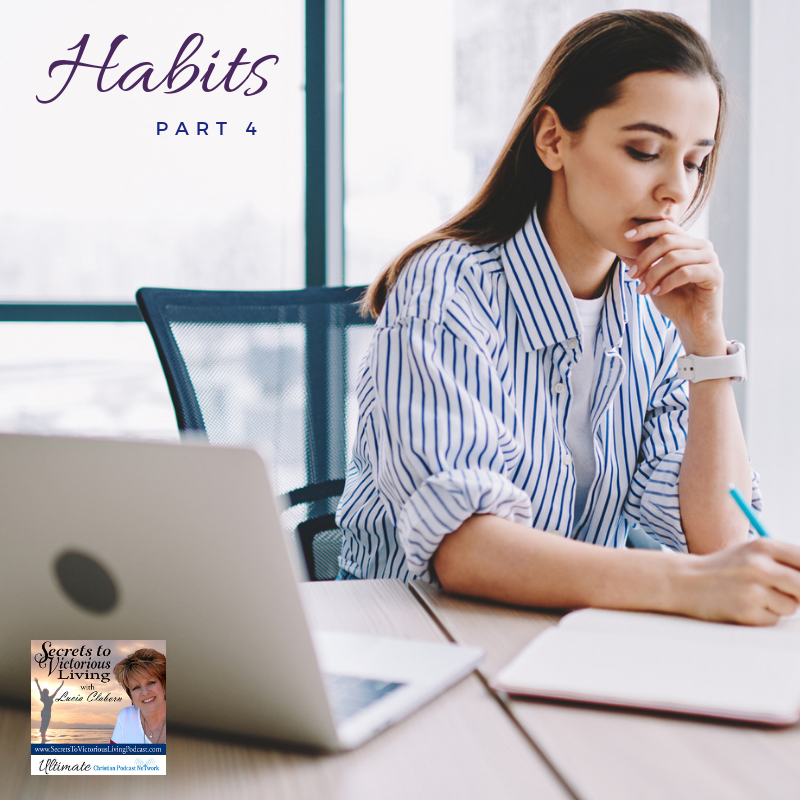 In Part 4 of Habits – Today Matters, Lucia shares that what you do today really does make a difference, and it affects the rest of your life! Lucia shares a few highlights from John Maxwell’s book Today Matters because it helped her refocus her thinking so she can live every day with purpose. She will help you define what you consider a “successful day,” and then, she will give ideas on how to go about creating a successful day. Everyone has the power to impact the outcome of their life by focusing on “today”. Benjamin Franklin said, “One today is worth two tomorrows; what I am to be, I am now becoming.” If you want to change your life, change what you’re doing today. Success doesn’t just suddenly occur one day; you prepare for success every day. Decisions and self-discipline always go together, and you can’t have one without the other if you want to live a victorious life. The only adequate preparation for tomorrow is the right use of today! So, seize the day and make the most of every day of your life so you can live the victorious life God created you to live!